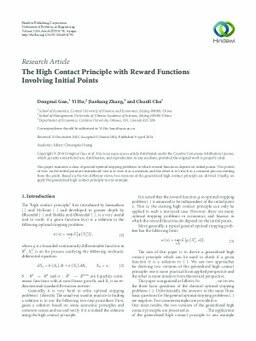 This paper examines a class of general optimal stopping problems in which reward functions depend on initial points. Two points of view on the initial point are introduced: one is to view it as a constant, and the other is to view it as a constant process starting from the point. Based on the two different views, two versions of the generalized high contact principle are derived. Finally, we apply the generalized high contact principle to one example.